Time is money. Less time is more money. Productivity is key. Whether you run an in-house, fleet-based service shop. A retail service center. Or a combination of both, the same holds true. No matter what type of fleet service operation you run, you can boost productivity when you use TMT Fleet Maintenance and Service Center solutions from TMW. If you’re an in-house operation, productivity pays because you get your assets back on the road sooner.If you maintain a retail operation, productivity pays because you can increase volume and increase your margins on every invoice. Equipped with TMT Fleet Maintenance and Service Center software at every workstation, your technician becomes an asset manager. It’s rare that a tech, especially a veteran, can’t meet a standard repair time. It becomes a challenge. After all, who wants to be average? TMW Asset Maintenance software creates a self-motivating work environment. Our solution brings impartial data recording to the shop floor, constantly measuring individual performance “against” system parameters. This instills a training incentive because the system displays strengths and weaknesses. Techs measure performance on their own merits and can actually see improvement vs. standard time. And, because feedback is impartial, techs adapt to improvements positively. Our fleet maintenance software solutions can also pinpoint ways to structure training to improve on standard time. Or where to improve processes to increase direct time. TMW Asset Maintenance software creates a self-motivating work environment for greater efficiencies, productivity and profitability. TMW fleet maintenance software solutions help you make personnel assignments and manage pricing and invoicing to improve profit margins. You want this advantage because even with the same truck and same components, your repair times can vary by technician. With our reports, you can actually assign techs based on direct-time ratings and keep your flat rates more competitive and more profitable. And, because flat rate pricing is market-driven, time reports can help you adjust flat rates based on tech skill and productivity. The better your techs perform against SRTs, the more profitable your flat rates. Invoicing can then be built from the actual repair order. With TMW, training is simple and easy. On-site training with one of our experts is the last stage before “Go Live” of your fleet maintenance software. Because the software is user-friendly and intuitive it generally takes just 45 minutes before your technician team is prepared and ready to go. Our fleet maintenance software synchronizes the physical factors that sustain a productive work environment. And it tracks performance against user-selected criteria to guide the technician to take a more proactive and competent role. 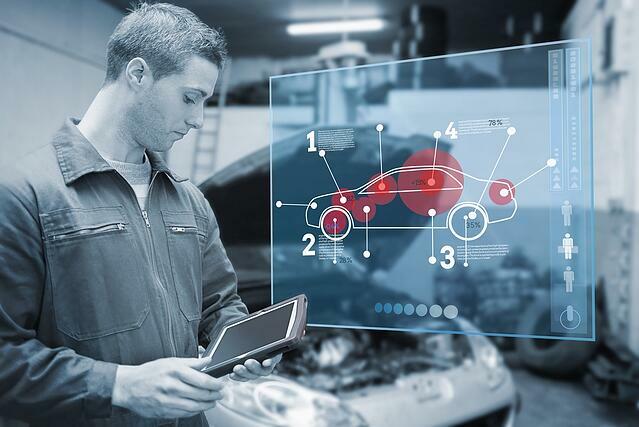 Fleet maintenance software from TMW makes the tech more efficient and the job a little easier which make the tech become more of a partner in your total business success. That’s because the tech is more involved in the following the process and more responsive to your business model. The results are measurable. In workflow efficiency. In reporting accuracy. In cost recovery. And net profitability. Learn how TMW Fleet Maintenance software solutions can make your techs more productive, click here.